This beautiful set of 7pc. 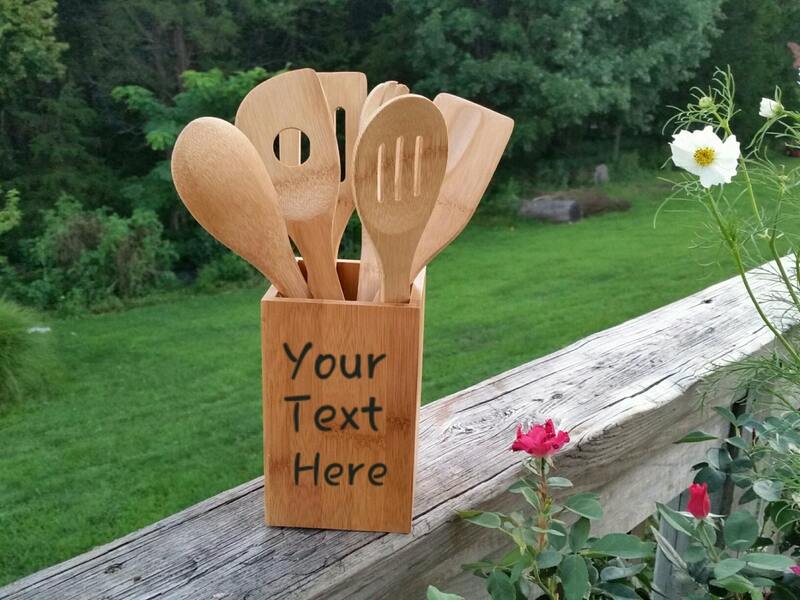 Bamboo utensil set with a square caddy that can be personalized as per your request will make a perfect gift for that someone special in your life. Give it as a bridal shower gift, wedding gift, birthday gift for someone that just moved on their own, house warming present, holiday gifts for grandma, mom, sister, mother in law, etc..
Spatula, slotted stir-fry spatula, large spoon, spork , slotted spoon, turner and a square caddy.